These German apple cake recipes are great cakes to make when you have extra apples in your pantry, and you find yourself craving a moist, flavorful dessert cake. Or, you can always substitute peaches or pears in the recipes, and they'll turn out moist and delicious as well. Cream the butter, add 1 egg, 2 extra yolks, 2 ounces sugar, 1 tablespoonful water, and then the flour and mix to a paste. Roll out and line the bottom and sides of a shallow, broad, cake tin. Bake a few minutes, but not completely. Grate the almonds and mix with 2 tablespoonsful of sour cream. Spread on the cake and sprinkle over with grated breadcrumbs. Peel the apples, cut them into thin slices and mix with the currants and 4 ounces sugar. Place these on the breadcrumbs and pour over them 1/2 gill of slightly sour cream, beaten up with 4 yolks and a little sugar. Place in the oven and finish baking. Make some puff paste with 1/2 pound butter and 1/2 pound flour. Roll out thinly in two layers. Place one upon a buttered sheet of tin. Peel 3/4 pound apples, cut them into slices, stew them in 1/2 pound sugar and 1/4 pint water. Drain superfluous water off. Sprinkle over the paste on the tin with breadcrumbs, place the apples on it, cover with the other layer of paste, brush over with egg, sprinkle with sugar, and bake in a moderate oven for 1/2 hour. Cut into squares and eat with whipped cream. 3 ounces of creamed butter, 6 ounces of sugar, 5 whole eggs, the peel of 1/4 of a lemon and 1/2 pound of flour are stirred to a light dough, which is put into a buttered pan, sprinkled with grated roll, covered thickly with apple slices. Pour over this an icing made of 1 cupful of sour cream, 3 eggs, sugar, and vanilla. Bake in a moderate oven. For the dough take 3/4 pound of flour, 1/2 pound of freshened butter, 3 ounces of sifted sugar, 1 egg, 2 spoonfuls of water, 2 spoonfuls of rum, good apples, wine, sugar, lemon peel, and whole cinnamon. Stir the butter to a cream, then add sugar, egg, rum, water, and flour, stir all for a short time, put into a cake pan, and with a flat wooden ladle press out the dough, having it a little thicker on the sides so as to form an edge; sprinkle some grated bread over the bottom. 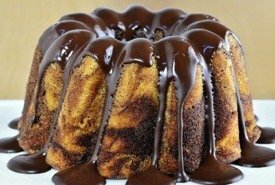 In the meantime, cook thickly sliced apples in wine, sugar, lemon peel, and whole cinnamon until half-done, and after they are cold lay them neatly on the cake and bake to a golden — not brown — color. Boil down the juice until quite thick, and when the cake is served pour it over the apples. Butter a pan, sprinkle over it some grated wheat bread and fill with alternate layers of grated roll (or brown bread) and apple slices. Over each layer put sugar, pieces of butter, and a little fruit jelly. Then bake the cake, having grated bread for the top layer, for 1 hour. 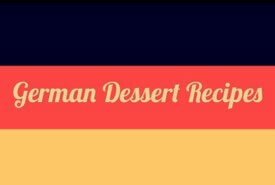 Half an hour before the cake is done make a cream for it, using 1 cupful of sour cream, the yolks of 4 eggs, 3 ounces of sugar, and 1-2/3 ounces of grated almonds, pour this over the cake and then bake until done. Make a biscuit dough; roll out very thin and put on a well-buttered cake pan. Have ready some apples. Cut in quarters; lay closely on the cake; sprinkle thick with brown sugar; add some cinnamon and a handful of currants. Pour some fresh melted butter over the cake; set in the oven to bake until done. Serve with coffee. Peel and chop 5 large apples, add 1 ounce butter, 3 ounces of sugar, and rind and juice of a lemon. Cook and stir until smooth, add yolks of 3 eggs, and 2 teaspoonfuls of cornstarch. Cook 20 minutes, press through a sieve, and let it cool. Make into balls, dip in egg and crumbs, fry brown in a kettle of boiling lard. Put a bit of Angelica or citron in the end of each to imitate a stalk, dust with sugar, arrange on a dish, and serve cold with a white sauce. 10 or 12 apples, sugar to taste, the rind of 1 small lemon, 3 eggs, 1/4 pint of cream or milk, 1/4 pound of butter, 3/4 pound of good short crust, 3 ounces of sweet almonds. Pare, core, and cut the apples into small pieces; put sufficient moist sugar to sweeten them into a basin; add the lemon peel, which should be finely minced, and the cream; stir these ingredients well, whisk the eggs, and melt the butter; mix altogether, add the sliced apple, and let these be well stirred into the mixture. Line a large round plate with the paste, place a narrow rim of the same round the outer edge, and lay the apples thickly in the middle. 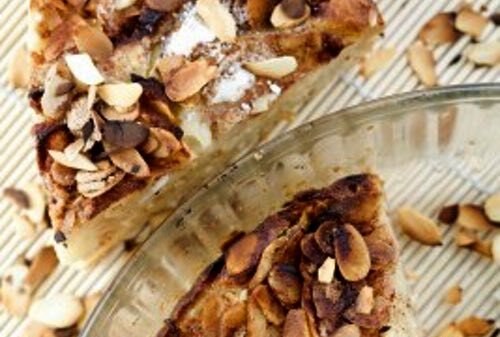 Blanch the almonds, cut them into long shreds, and strew over the top of the apples, and bake from 1/2 to 3/4 hour, taking care that the almonds do not get burnt: when done, strew some sifted sugar over the top, and serve. This torte may be eaten either hot or cold and is sufficient to fill 2 large-sized plates. 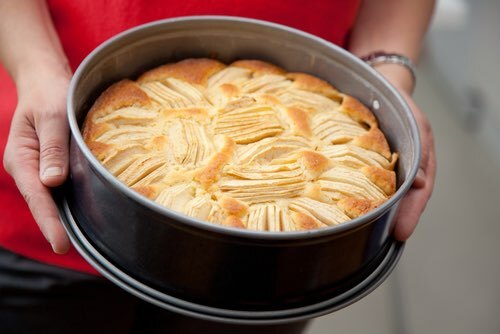 This German apple cake recipe is sufficient for 2 large-sized tortes.